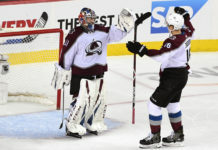 The Colorado Avalanche bounced back from its first regulation loss in 11 games with a 5-2 victory over the Florida Panthers. Colorado received goals from important secondary scorers on their way to the win. Remember two years ago when Carl Soderberg finished the abysmal 2016-17 season with only 14 points? That seems like a lifetime ago. He’s been a crucial part of this team since the start of last year, taking on very heavy minutes defensively while still providing offense. His two goals tonight give him 11 on the season, and he’s well on his way to a career-high season in terms of goal scoring. Jared Bednar was not happy with what he was seeing from his top line tonight, and changed things up in the third period with some great results. J.T. 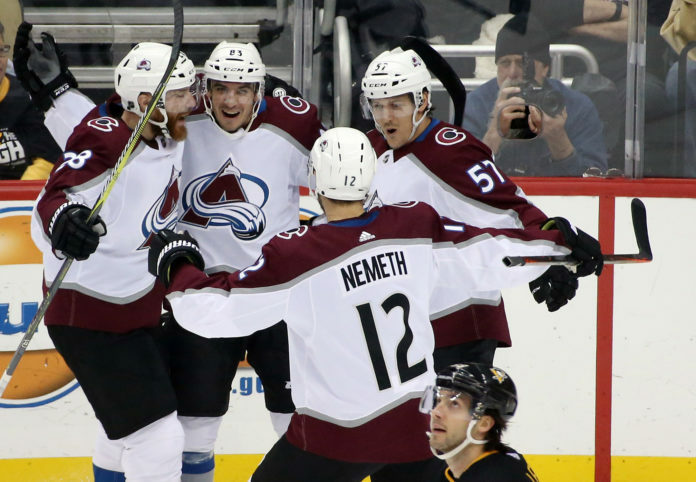 Compher was moved onto a line with Gabriel Landeskog and Nathan MacKinnon, while Tyson Jost and Alexander Kerfoot got Mikko Rantanen on their line. Compher ended up scoring the game winning goal with some great effort in the offensive zone. It’s becoming a bit of a trend that Compher scores some very important goals for this team, and he’s giving Avs fans a lot of flashbacks to Chris Drury with the way he plays. Philipp Grubauer had a great performance, stopping 33-of-35 shots on his way to yet another victory. I’m not sure there was much he could do on either of the goals by Florida, although he probably could have tracked the power play goal much better. 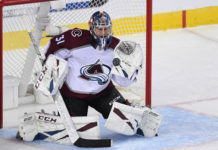 His save on Dadonov’s breakaway at the end of the second period was massive, as the Avs took over the game from there. 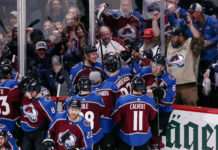 The Avs had a massive scare at the end of the second period, when Erik Johnson left the game for several minutes with what looked like a hand injury. He would return in the third period to play his usual heavy minutes, and looked to be just fine. The Avs spread the wealth pretty evenly among the defense. Zadorov played the least on the defense, but still played over 16 minutes, and no one even cracked 21 minutes. When the defense is healthy and playing well, the coaching staff can spread the minutes around so that they aren’t playing some guys too much. It’s a weapon they can use throughout the year. The Avs finish off their road trip on Saturday against the Tampa Bay Lightning. The game starts at 5 PM MST.